Preferred Refresh Rates: Tried these combinations 23,24,60. Only one at a time to make the experiment as small as possible and with/without and ; at the end. I have tested it with a bluray rip, that I know is 23.976. The player stats page reports the original framerate that my system is running with, which is 50. If I look in the screen resolution page, then it also reports 50. You can also see with the naked eye that the tv isn't switching. I been running with MadVR with all these frequency without an issue, so the system is capable. Feature request: It would be nice to see the video frame rate on the stats page and not only the display. You should post your mpv log, so they can take a look. I have solved my issue. The problem is that I have a autohotkey macro to switch between emby theater and 8mc. The script changes framerate when switching to 8mc. It sets the framerate to 50hz. I need to restart emby theater to get it work. I have reproduced the error in the log files. One where its working and one where the issue is. It seems like the system is query both my Tv's, when it's not working. When its working its only display1 that is being queried. Is there any eta for when MPV will support hdr metadata to the display, so we can use our HDR capable monitor correctly? The current implementation just maps( think its called tone-mapping) the HDR into the REC709 colorspace and luminance range. If there any way to configure HDR video to be started up in and external player? - it does seem that option is present. It would be really nice if you offered this because you removed MadVR. Then I would be 95% of where I was before with MadVR. MPV uses ffmpeg. Ffmpeg doesn't pass HDR metadata. MPV uses PQ to apply HDR. The PQ is an algorithme for how to apply the luminance/gamme in the new format in a more efficient format than the current gamma. How to apply the algorithm when the tv is at max luminance is still being debated. The tv is stil running in the rec709 colorspace, probably wide color gamut which is larger(not as large as it should be in bt2020/p3), but its still not the correct color gamut. 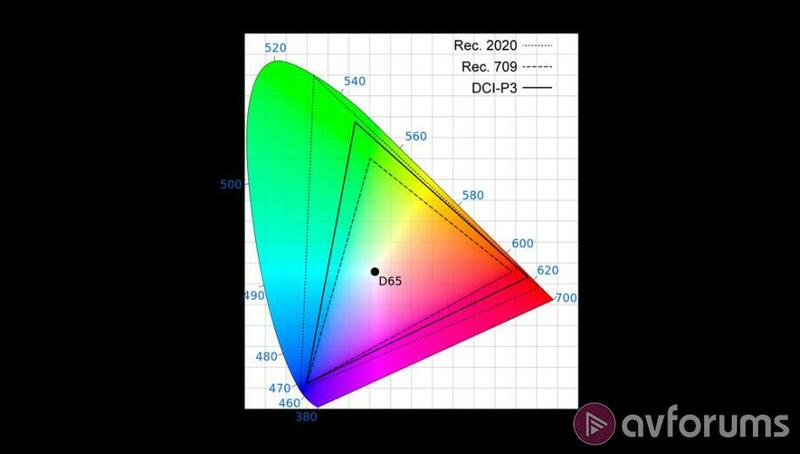 Typically in an rec709 setup the 100% luminance would be from 100-300 nits, where the HDR will in theory be alot higher. Forexample the dolby vision it could be up to 10000. The Oled can go as high as ~600 and LCD can go higher. So what is done with MPV is make SDR tv able to view HDR within the capability of the SDR and have the signal look decent, but it doesn't mean that you are showing a correct HDR image. Currently I don't have any UHD test image so I could measure it with a colormeter. I only have the test patterns from MadVR test generator. Otherwise I could measure the output of luminance in nits of the maximum white level image. Is it possible to get a switch for the external player about HDR? or am I stuck with having to go switch the external player definition each time I want to see a UHD. Edited by hhb97b, 28 March 2018 - 01:21 PM. BTW. it seems to fail with refresh rate every time I have been in 8mc. After this the system always want to detect 2 monitor setup. It would be nice if this could be fixed. Edited by hhb97b, 28 March 2018 - 01:18 PM. It should play the correct colorspace. All of mine play, very well. If you want to pass the metadata, you'll need to use an external player, such as MPC-BE with MadVR. But I'm curious as to why yours aren't playing, correctly in mpv. Can you play an HDR movie, and take a screenshot of the stats and the movie details? Are you using version 3.0? I seem to remember there being an issue with multi-displays. I'm using the 3.0.0 version. For a normal person the color looks good with HDR, It looks like a REC 709 would. If you don't know what you are looking for one would not think there is an error, but you will never get the correct HDR experience. Because this is not a test pattern the accuracy may be a little bit off, but it should be good enough for this experiment. I also know for a fact that my tv configuration for rec709 can't go above 127-130 nits as this is what its calibrated for. The same experiments should be done with color, but I don't feel comfortable with out a test pattern to make the comparision with. I'm running multi display because my AVR doesn't support 4k and hdmi 2.0b which is need to UHD, because of bandwidth. So one hdmi to the tv and another for the AVR to get the sound. So when you use mpv, it's functioning correctly, but not to the standard that you want? Others feel the same way, and will only use MadVR. That way, the HDR metadata is passed directly to the display. Ffmpeg haven't developed the ability to pass the HDR metadata. I think the suggestion to have an HDR option for the external player was put forward (not implemented, yet). That would be a good option. In my case, my AVR does support the full bandwidth. And I have chosen to use the USB-C port on my motherboard. The data is passed through the Thunderbolt 3 controller, which gives me a 40Gb/s bandwidth. Far more than HDMI 2.0. Edited by Doofus, 28 March 2018 - 04:01 PM. yes it correct. Generally I'm a madVR fan, but I trying to give MPV a chance, so I educating my self with MPV and color theory/standards. The last part is not the easiest in the world. In my perfect world both MPV and madVR was in emby and lived side by side, in peace. I'm uncertain that I explain the difference between the MPV HDR and real HDR correctly. Do you know of cie2000 diagram. It's a 2d diagram of color correctness. This diagram doesn't show the luminance. So there should be another dimension which is height and that is the luminance. Look at the 100% red position in rec709 and the bt2020 and you will see that the xy coordinators are different. When the system does activate the HDR mode of the TV then you don't get that extra deep red color. I have never seen a setup with USB-c, do you have any links to any information on this setup? So what you're saying is that the algorithm that's applying the colorspace, isn't accurate? You should be aware that mpv in theater, there seems to a slight impediment. But playing in the standalone, the colors are a little more vibrant. I think it has something to do with the window transparency. Edited by Doofus, 29 March 2018 - 11:33 PM. I don't think its the algorithm, it more that the capability of the tv. If the TV is not in the correct mode, then I either doesn't have the necessary ability to show the correct colors(remember I haven't proven this) and luminance(which I have proven). Manufacturers also cheates by making their tv colors more vibrant by introducing wide color gamut in "HD image" mode (should only rec 709). So the colors maybe possible to recreate. I haven't found any thing about Rec 709 and luminance standard level. However most calibrators set it to 120-130 nits, the highest I have seen is 250 nits. HDR needs up to a 10000 nits in theory for dolby vision. I don't think to possible to have both a correct REC 709 image and a HDR image if you don't switch modes on the TV. You can fake it a long way which is my believes that what MPV does and most people will believe it because they don't know better and probably never seen a real HDR image. Very few apps support Dolby vision, so I wouldn't worry about that. For specific luminance measurements, I don't have a way to verify, that. That'll be something you'll have to figure that out. Is this still being looked at? I can only get Emby Theater to change refresh rates once for the first file I open. After that, no refresh rate changes. I have to close the program then reopen. Can you go over an example? I start Emby Theater Desktop, which I have set to change refresh rates automatically. I play a file, and the refresh rate will change from 29.97hz to 23.976hz for example. After the file stops playing, the refresh rate goes back to 29.97hz. The next file I play will be 29.97hz no matter what, until I exit the program and start over.